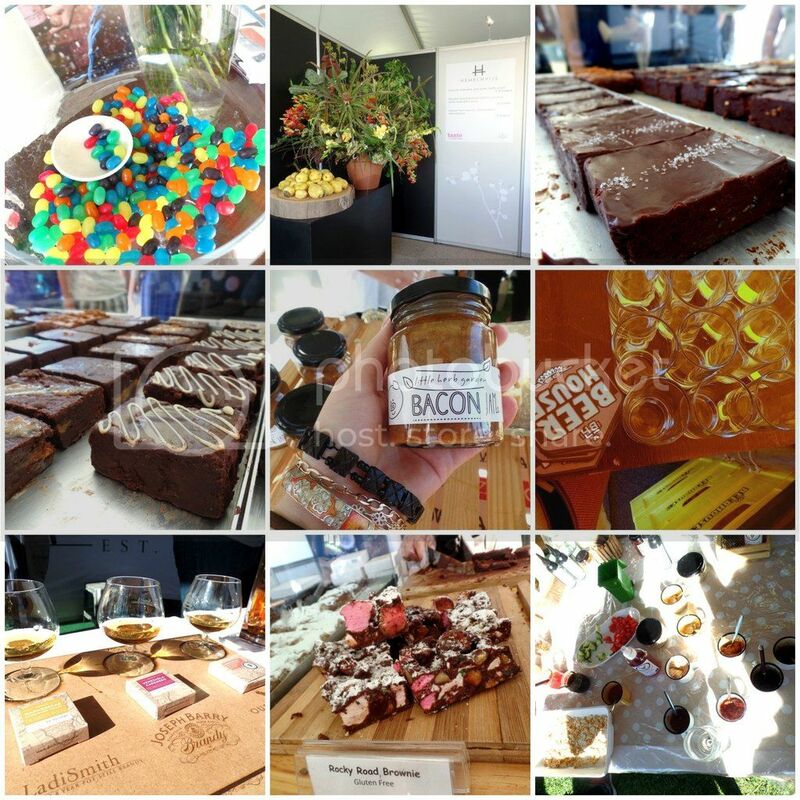 The Taste of Cape Town weekend is without a doubt one of my favourite weekends of the year. I have been going to this event for the last 7 years. Yes….. I’m getting old and its freaking me out. But the pleasure of attending this event to eat food from some of Cape Town’s best has never worn off. This year was no different. The restaurants in attendance for the 2015 event were 96 Winery Road, The Bakery at Jordan, Ernie Els Winery Restaurant, Azure Restaurant, Camissa Brasserie, Cosecha Restaurant, Longridge Restaurant, Beluga, Hemelhuijs, Kitima at The Kronendal and Jewel of India. There were quite a few new faces on the block and a few old favourites thrown in for good measure! I sadly missed the chance to try The Bakery at Jordan’s menu. They only popped up for Friday night and being a relatively small person and pretty claustrophobic busy night festivals stress me out a little. I however adore their menu and do not doubt that all the raving on twitter about their menu was 100% true! I did however get to eat a lot of the food on offer! I went with a large budget and an empty stomach! We started at Hemelhuijs and ordered one of everything from their menu, because everything sounded so damn delicious! They did an amazing gnocchi with aubergine, pear pesto and truffle cream. The sauces were to die for and we were scooping out every last bit of it! The gnocchi however was a little dense which I imagine is simply due to churning out so many gnocchis for the forever long Hemelhuijs queue! Our favourite from Hemelhuijs was the Sichuan fried calamari with shaved daikon and miso dressing. The calamari was light and fresh with an amazing crunchy batter. I definitely want to see this on their menu in the future! I could eat an entire plate of this calamari! We also tried the roasted duck and beetroot rolled in cucumber with homemade plum sauce. The sauces and everything else were amazing but the duck itself was really quite dry. We could have got the dried out end of the duck or simply the heat of the day kicked in. Next we got all the dishes from Kitima! Kitima is one of our favourite restaurants and we absolutely adore their Sunday brunches. I’ve never tried a dish at Kitima that wasn’t amazing so we went in with high hopes! Our favourite dish at here was their smoked mozzarella and prawn ball on an avocado mousse. Man this dish was fantastic! The tender meaty prawns with the melted mozzarella was a deadly combination. 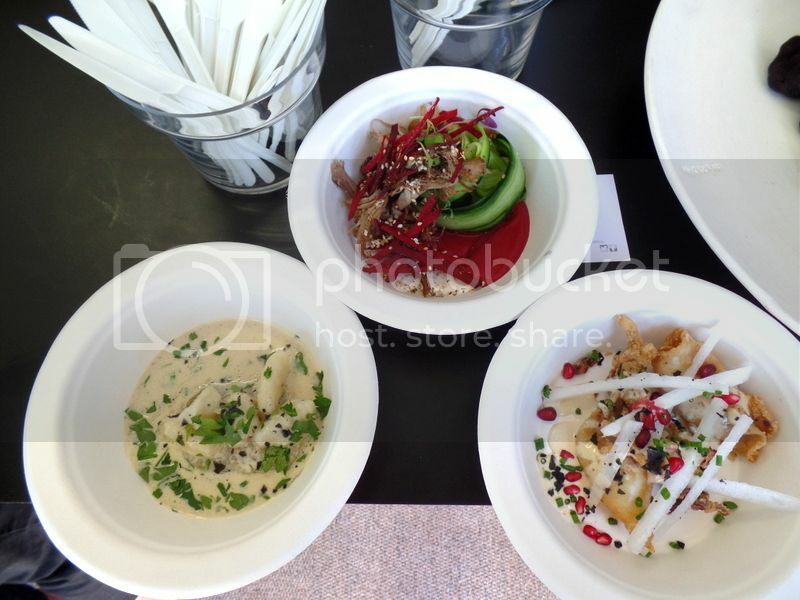 This dish fought hard for my best dish of the festival! We also loved their crispy duck pancakes. The pancakes themselves were super thin and so light wrapped around crispy skinned but tender on the inside duck. This was delicious! I could easily sit and pop these into my mouth all day long! 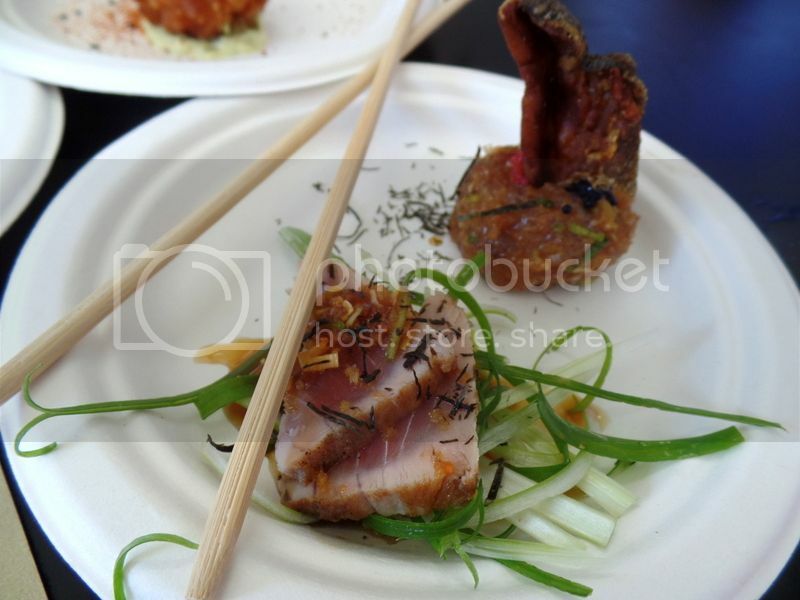 The duo of yellow fin tuna was really fantastic for bringing out the subtle flavours which is often tough to pull off at such a busy and hectic festival. With the slightly seared tuna the fresh and slightly meaty tuna flavour was at the forefront. I loved the tuna tartare for the umami and salty flavours. I was less keen on the crispy skin because the skin was so thick there wasn’t very much cripsy about it. I’m also not a huge fan of very fish flavours so fish skin is never really a hit with me! On Saturday 96 Winery Road popped up for the day! We tried their Duck and Cherry pie which was sublime! I was told that this recipe is going on 40 years old! Can you believe it- clearly a timeless classic! 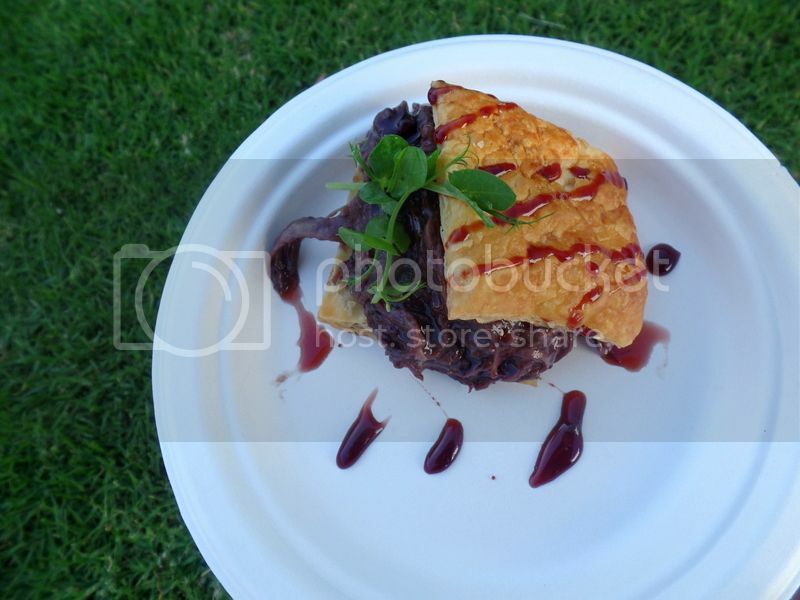 The puff pastry was light and crispy and the pie filling was just pure duck! Not bulked up with potatoes or peas or carrots- it was gorgeous slightly sweet tender pulled pork style duck with a delicious cherry sauce. George said that if they have this duck pie on the menu we could go for a visit – lucky for me they told me that its a firm favourite at 96 Winery Road and is always on their menu! Winning! 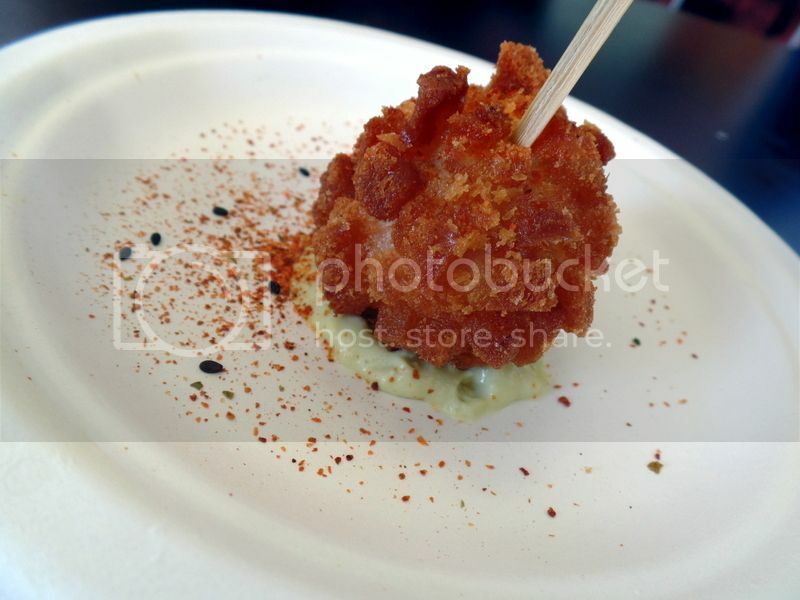 Another serious favourite of the festival was the Beluga spicy peanut calamari. This was really outstanding and I was a little surprised by how much I enjoyed it. The peanuts add a depth to the crunchy and light calamari. It’s also worth noting that you get a fair amount of calamari in your dish! 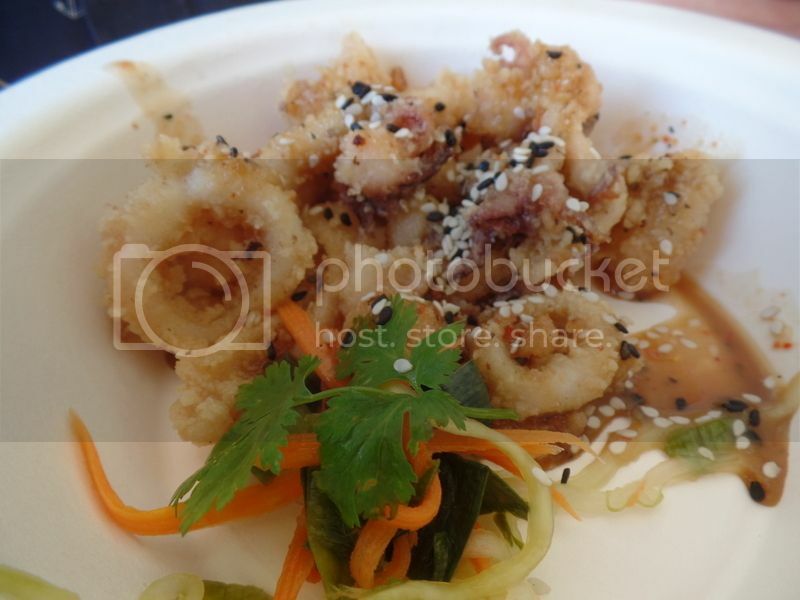 George is a huge calamari fan so it was fabulous to have two great calamari dishes at the festival! One of our last dishes of the day was the Longridge Restaurant’s crispy pork belly with gingered sweet potato, sauteed spinach and a spicy tomato chutney. I was blown away by how well every single flavour worked together. Every mouthful was a perfect flavour combination. 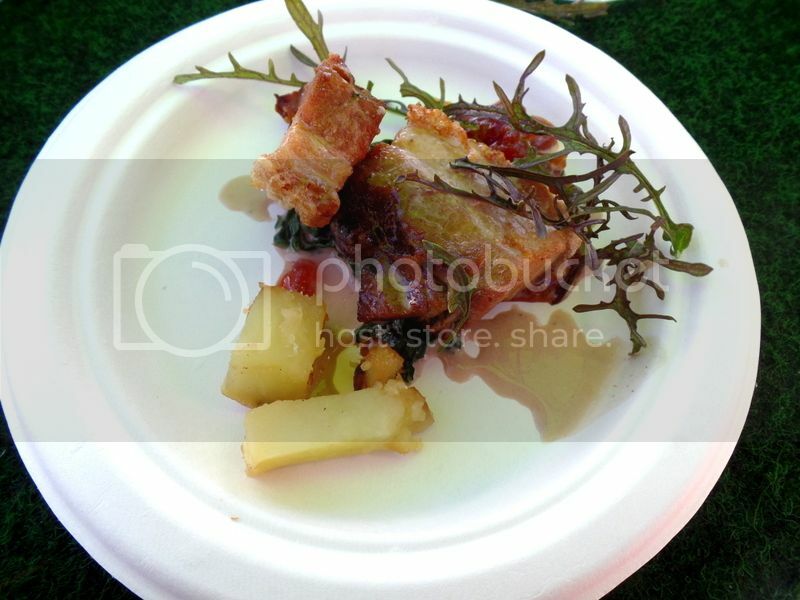 And I think for this sheer perfection the pork belly was my favourite dish of the festival! The pork belly was juicy and tender with lots of crunchy crackling on top, the sauteed spinach added to the salt of the dish and the sweet spicy tomato chutney counterbalanced the salt of the dish. Man it was delicious and my highest recommendation of the festival! When we went back for the Sunday afternoon we raced through to the Robertson Spices Braai Master Tent to sign up for a burger making class! We had such a blast learning how to make burgers and were so excited to take home some Robertson spices to try on our own! 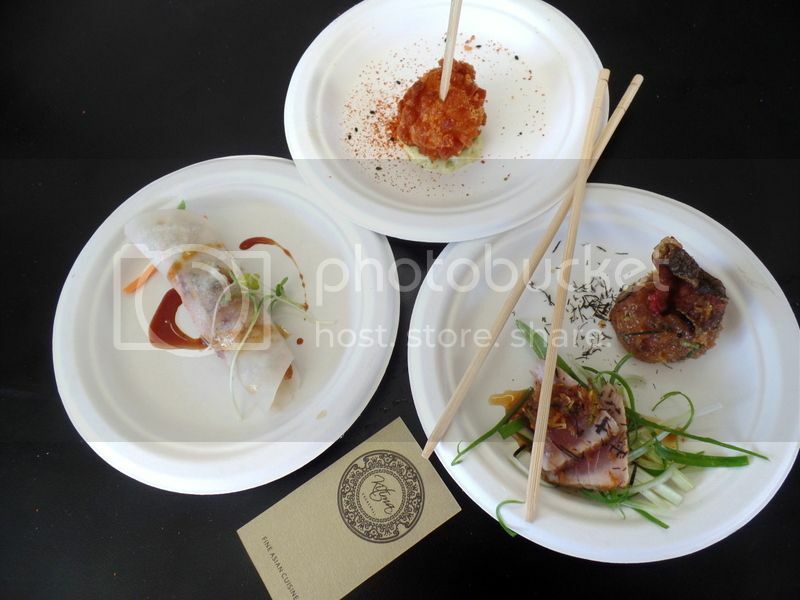 It is always worth looking out for these great value extra events at the Taste of Cape Town! 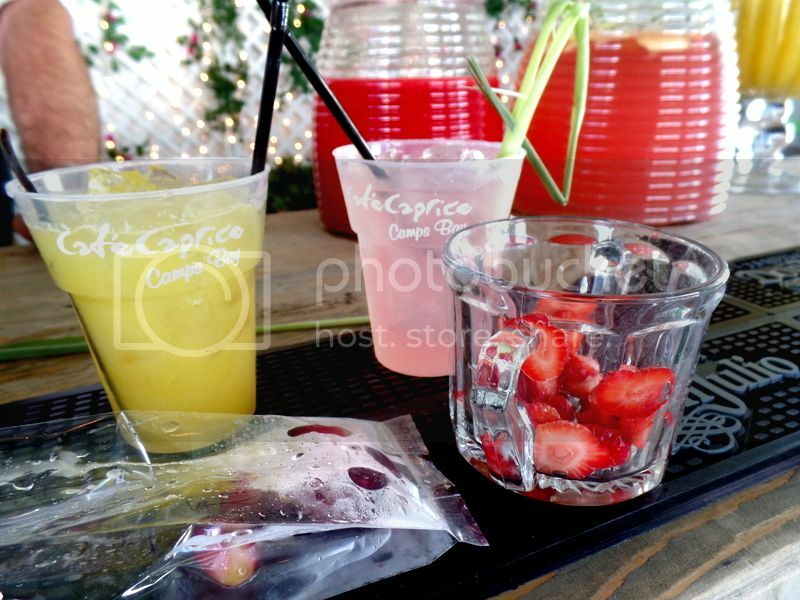 We also spent some time at the beautiful Caprice Garden Party which was beyond beautiful and serving really amazing cocktails! However out favourites at Caprice were actually their vodka frozen greats which were icy cold and deliciously sweet with a serious kick of vodka! They also make amazing gin and tonic lollies that I hope they include at their usual spot in the summer months to come! That being said the cocktails were amazing using the best and freshest ingredients paired with premium alcohol brands! They really got our Sunday afternoon swinging! 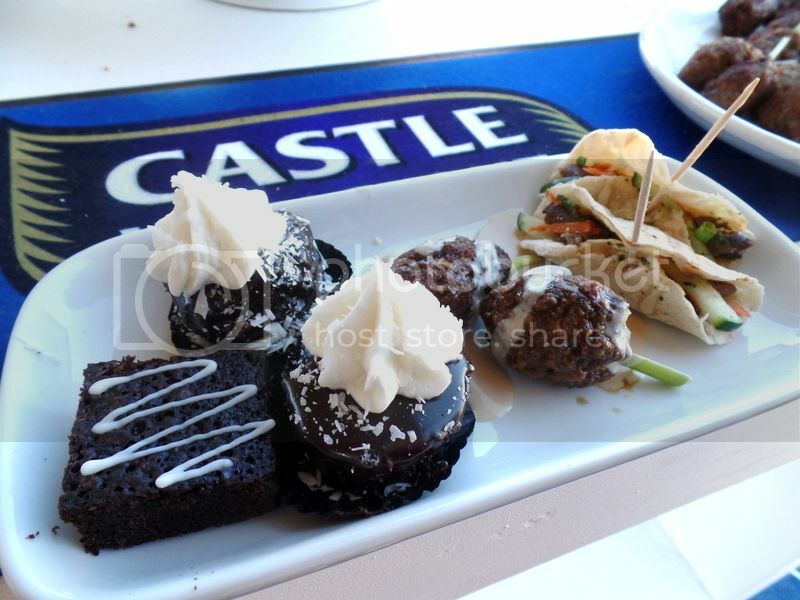 Another foodie feast was the Castle Milk Stout and food pairing! I’m a big believer in beer and food pairing so I was very excited to try out the milk stout with all the delicious food options! We absolutely loved the Castle Milk Stout with the rich chocolate brownies and decadent cupcakes! Winter desserts so sorted!! This was the sneaky surprise of the show and the dish I spent my very last scoins on! 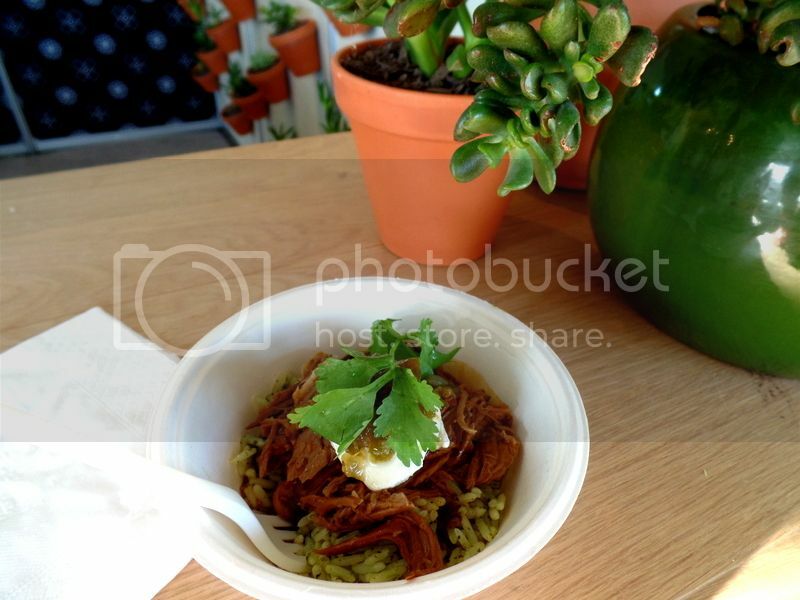 This was the lamb barbacoa slow cooked pulled lamb with green rice, goats cheese and jalapeno mint salsita from Cosecha. For starters I don’t like lamb and I’m not crazy about slow cooked food. BUT this dish seriously blew me away! The lamb was amazing not fatty or heavy or stewed. The lamb was tender and packed with flavour the addition of the creamy goats cheese and the savoury rice was pure comfort food heaven! I will definitely need to give Cosecha a visit soon to try out more of their undoubtedly delicious food! While you’re running around like kids hopped up on candy you must remember that there is much more to the festival than the amazing restaurants! There are some great exhibitors on show. 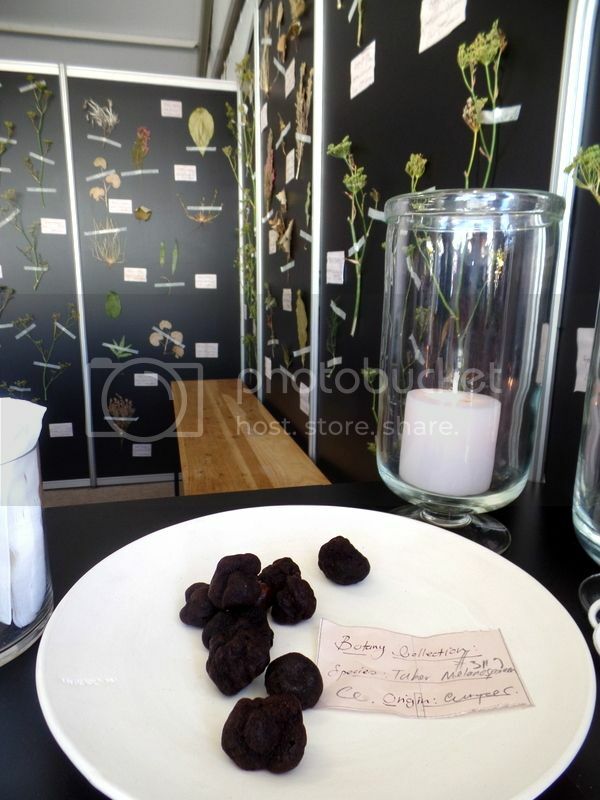 They have gorgeous displays and a lot of their products are available for sampling! 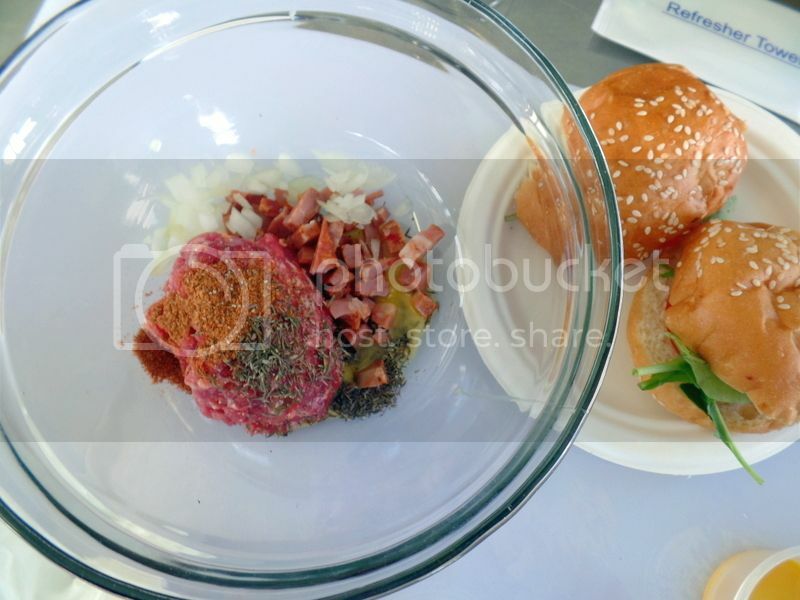 I tried bacon jam for the first time from Little Herb Garden – and loved it! I caught up with the brownie madness at Yummi Chef – you need to check them out, those brownies are literally selling like hot cakes! Eric (aka Mr Yummi Chef) is up all night baking brownies as quick as we can eat them! 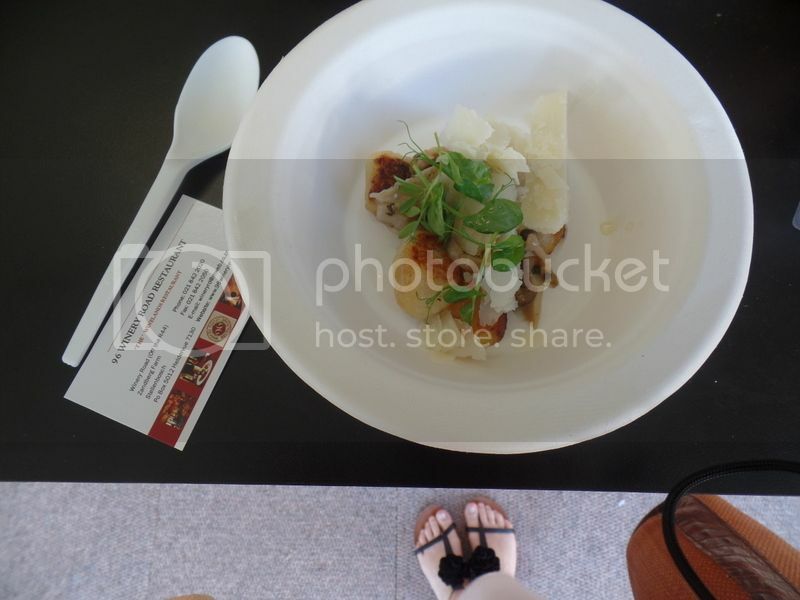 We tried some gorgeous wine at the festival including the lovely fresh Waverly Hills MCC and the Longridge Chenin Blanc, which was seriously perfect with their amazing pork belly. Most beautiful stand must go to Waterford Wines which has turned their little spot into a green oasis! We didn’t get to try their wines because the queue was on the long side. We finished our day with amazing lollies from Las Paletas! Our favourite flavours are pineapple with chilli and white chocolate with berries! A perfect combination due to spice in the pineapple being cooled down by the white chocolate! 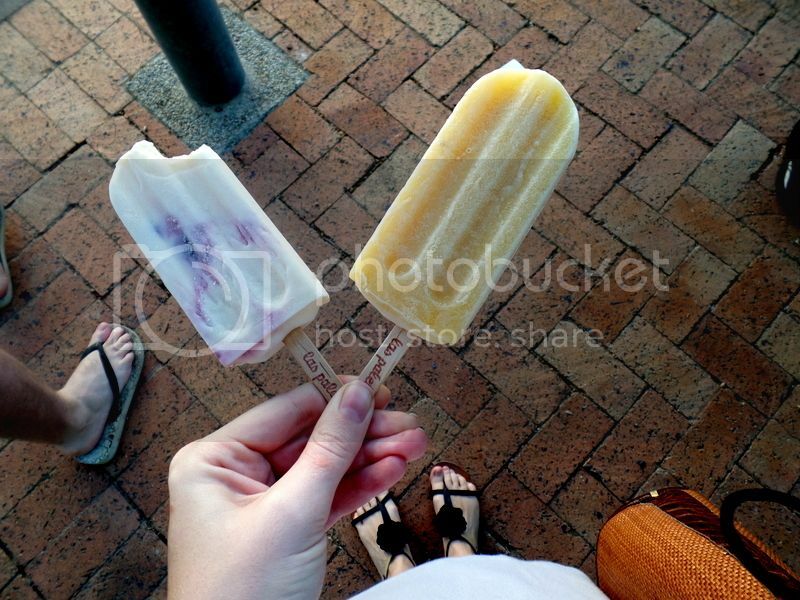 We ate our ice creams on the walk back to the MyCiti bus and we smiled the whole way home! I love Mondial and Dash in the Waterfront. Willoughby’s is great too! Kloof street you can’t go wrong with Saigon for amazing Vietnamese food and dimsum! I actually wouldn’t recommend Carne – I don’t think its worth the hype and the atmosphere is a little stiff. Hidden gems juuust off kloof street include Hallelujah and Kyoto Garden Sushi. And one more from the Atlantic seaboard side would be La Mouette for their beautiful fine dining.